Wow, y’all! Where have I been? Not blogging, obviously. But I’m still here and I have a show coming up. This Thursday, come check out Eclectic Art Social Club’s (early) spring show at Rojo on Highland Avenue in Birmingham. 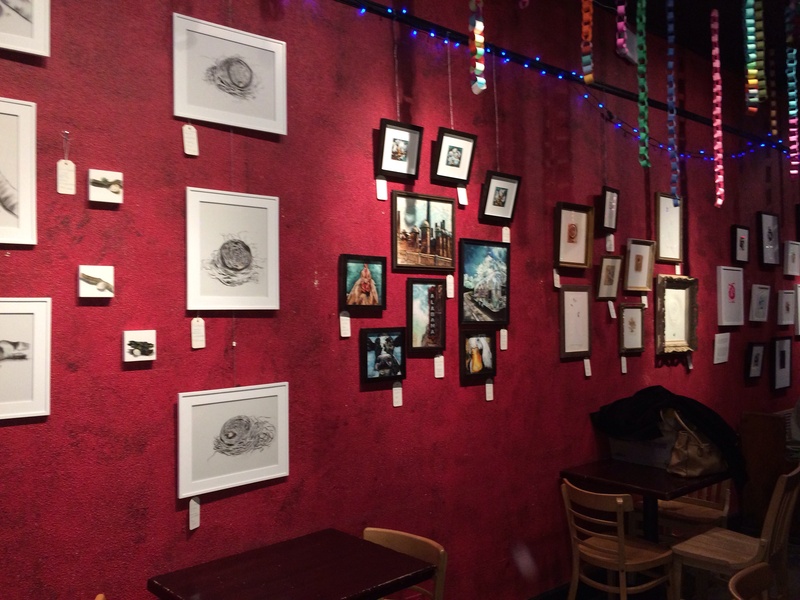 The kick off party will start at 6:00 pm, Thursday, January 9 and the art will hang at Rojo until February 3rd. Eclectic Art Social Club consists of myself, Mary Liz Ingram, Dariana Dervis, Chi Roach, Cecily Hill Lowe, Ami Ross, and Sunny Carvalho. This is an amazing and diverse group. Come check it out!! This entry was posted in Shows and Events and tagged Alabama Artist, Ami Ross, Art, Cecily Hill Lowe, Chi Roach, Dariana Dervis, Dura-Lar, Eclectic Art Social Club, Erin Hardin, Events, Mary Liz Ingram, Nest, New Work, Sunny Carvalho by ErinHardinArt. Bookmark the permalink.